The End of Year Book Survey is hosted by Jamie from The Perpetual Page-Turner. For more info on the Survey, check out her blog! Val: I re-read the Lux series for the read-a-thon. And then I listened to Easy and Breakable by Tammara Webber...um several times. Okay. Um...see when I'm stressed or upset I need books but I can't take new ones. I need something I already know. AND I adore these two books. AND I love the narrator in Breakable. So, yeah. I listen to them over and over. No count that I'll admit to. Jess: Contemporary Romance! I am SHOCKED because I am such a huge paranormal fan. But I read like three contemps for every one paranormal this year. Possibly more. Wow. Val: Actually I think it was New Adult. But towards the end of the year I started this NEED for paranormal. 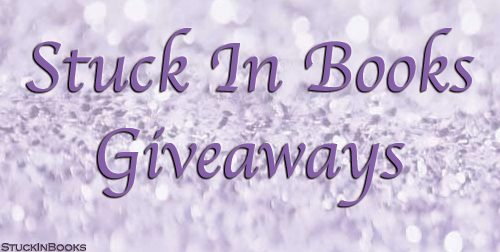 Jess: Lady Luck by Kristen Ashley! I am OBSESSED with this book. Val: Wicked by Jennifer L. Armentrout. I loved it beyond words. Jess: The Boy Who Sneaks in My Bedroom Window by Kirsty Moseley. It sounded so sweet and cute! I thought I'd fall in love with their characters and their romantic story. Instead, I ended up rating it 2 stars. It was kind of a let down as a whole. I got some swoons, but that was pretty much it. Val: Undefeated by Melissa Cutler. The cover is HOT. It involves HOCKEY. It has a second chance at love premise. I adore those things, a lot. Not this one. I just didn't like the hypocritical MC and some of it was just...um...strange. Yeah, I thought I'd love it for sure from the blurb and cover but it ended up getting a 2 from me. Jess: The Strange Maid by Tessa Gratton. I enjoyed the first book, but this sequel completely blew me away, which I did NOT expect. The world is so unique, I was skeptical about whether it'd work for me or not. But this one...Tessa's writing is gorgeous, and I fell in love with The Strange Maid. Val: I've been loving the New Adult a lot this last year. The one that surprised me the most was Pieces of Olivia by Melissa West. This book breaks the NA mold with a unique story that was both emotional and incredible. Jess: The Darkest Minds by Alexandra Bracken. And the Lux series by Jennifer L. Armentrout. Val: I push peeps to read lots of great books all year long, so this is a hard choice for me. I guess the one I've pushed the most is The Darkest Part by Trisha Wolfe. Jess: Series started--Jennifer L. Armentrout's Wicked Saga. Sequel--King Cave by Scarlett Dawn. 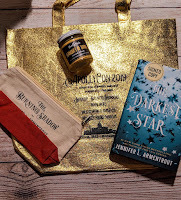 Series Ender--Sentinel by Jennifer L. Armentrout. Val: Gotta agree with Jess on the best series I started. 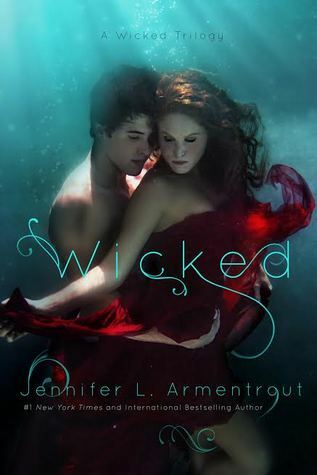 Wicked by Jennifer L Armentrout is awesome. Sequel would be All Broke Down in the Rusk University series by Cora Carmack. Series ender would be Tempting the Bodyguard by Jennifer L Armentrout (only series ender I read last year). Jess: Molly McAdams! This was the year I started reading her books and I. Am. ADDICTED. Val: Brighton Walsh! Loved Caged in Winter so hard. Jess: Landline by Rainbow Rowell. I usually don't read adult like that. Paranormal shifter stuff, yes. Maya Banks stuff, yes. But this one was kind of serious and deep and I usually don't read adult books of that type. But this was Rainbow Rowell so I picked it up. And I LOVED it. It was beautiful and amazing and I'm so glad I read it. Val: I don't read a lot of fairy tales but Don't Fall by Rachel Schieffelbein really appealed to me. Great read. Jess: The first one that comes to mind for this is Accidentally Married to...a Vampire? by Mimi Jean Pamfiloff. So I'm going with that. It's humorous and has great romance, and there were some intense parts mixed in. Val: Don't Look Back by Jennifer L Armentrout. I so wanted to know what was going on that I just couldn't stop reading. Jess: Lady Luck by Kristen Ashley, without a doubt. Val: Breakable by Tammara Webber, no doubt. Val: I agree with Jess. Jess: I'm actually stuck between two right now. Tink from Wicked by Jennifer L. Armentrout (he was hilarious!) and Greyson King from Rogue by Katy Evans (goodness, I love him). Jess: Oh, this is hard! It's a toss up between Breathe, Annie, Breathe by Miranda Kenneally and The Strange Maid by Tessa Gratton, with a close runner up of Landline by Rainbow Rowell. Jess: Breathe, Annie, Breathe by Miranda Kenneally. Best Kind of Broken by Chelsea Fine was a big one for me, too. Jess: I didn't read too many really old titles this year. Most was published in 2013-2014. But I did read a few, and one I'm glad I FINALLY picked up was From Ashes by Molly McAdams. Forgiving Lies is what started my Molly McAdams addiction, but From Ashes was the first of her books I branched out from that series with. So yay! Jess: Shortest--Fall by Scarlett Dawn. Longest--Tiger's Quest by Colleen Houck. Jess: I'm gonna say Tiger's Quest by Colleen Houck because REN! Val: Inspire by Cora Carmack - that ending! Jess: Ezra and Lily from the Forever Evermore series by Scarlett Dawn! And Greyson and Mel from Rogue by Katy Evans. Also Seth and Josie from the Titan series by JLA. And Ren and Ivy from Wicked by JLA. IT'S HARD TO JUST CHOOSE ONE, OKAY? Val: I agree with Jess on this one. Ren and Ivy from Wicked by Jennifer L Armentrout. Jess: Tink and Ivy from Wicked by Jennifer L. Armentrout. Val: Tink and Ivy too from Wicked or Katy and Dee from the Lux series both by Jennifer L Armentrout. Jess: Breathe, Annie, Breathe by Miranda Kenneally and Stay with Me by Jennifer L. Armentrout. Val: Wicked by Jennifer L Armentrout. Jess: NEWEST would be Ren from Wicked by Jennifer L. Armentrout. But there's also one from my favorite book of the year, Lady Luck by Kristen Ashley which I keep going back to, and his name is Ty. Val: Wilder from Inspire by Cora Carmack. Jess: Upside Down by Lia Riley. Or Twelve Steps by Veronica Bartles. I CANNOT CHOOSE. Val: I'm pretty surprised that I couldn't a debute on my read list for 2014. Go figure. Jess: The Strange Maid by Tessa Gratton. Jess: Accidentally Married to...a Vampire by Mimi Jean Pamfiloff. Val: Wicked by Jennifer L Armentrout. Tink had me laughing out loud. Jess: The Warrior by Victoria Scott. Ahhhh my feels. Jess: Twelve Steps by Veronica Bartles! It was sweet and I loved it. Also, Scary Modsters ...and Creepy Freaks by Diane Rinella because she has some great writing and this story was so quirky in the most delightful way. READ THESE BOOKS, MY FRIENDS. Val: Business as Usual by Denise Grover Swank. Love all the books in this series and they don't really get the attention they deserve. Jess: Reclaiming the Sand by A. Meredith Walters. The book was so, so good, but my heart and my soul...IN. PIECES. Val: The ending of Inspire by Cora Carmack had this effect on me. I screamed, NO. And now we wait. Jess: Scary Modsters ...and Creepy Freaks by Diane Rinella. Also, The Strange Maid by Tessa Gratton. Jess: Twisted Perfection by Abbi Glines. DON'T GET ME STARTED ON THIS BECAUSE I WILL RANT. Val: Undefeated by Melissa Cutler. Um...the R word is thrown at a guy when it's so not true. That really gets me mad. Jess: Mary Had a Little Book Blog. 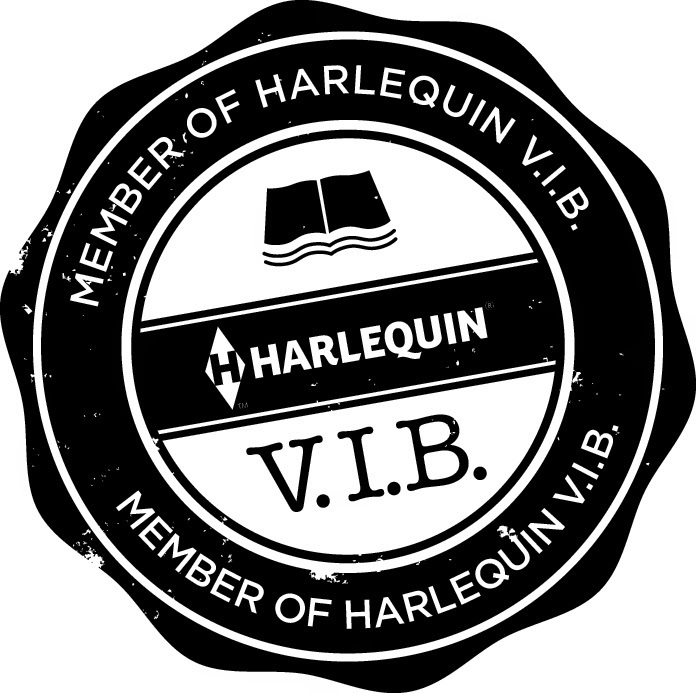 Vilma's Book Blog is pretty darn cool, too. Val: This is a problem for me. I have so little time to look for new ones. I adore Readers Live A Thousand Lives. Jess: Um. I have no clue. Maybe my review of Sawyer by Lori Foster? Or Twisted Perfection by Abbi Glines? I DO NOT KNOOOOW. Oh, or Rogue by Katy Evans. Ahhhh that book. Val: The Write Stuff by Tiffany King - so excited that she wrote a New Adult book. 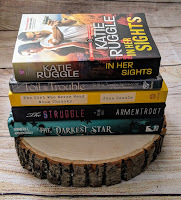 Jess: The post where I joined StuckInBooks because I FREAKING LOVE IT. Val: Any swoon post is usually the ones I love the best. Jess: I don't like this question because I loved ALLLLLL of the events I participated in. Our Lux Readathon. And going to Teen Book Con and seeing Victoria Scott. Chilling with Rachel Harris at Austin Book Fest. Seeing JLA at Book People in Austin. Getting to hang out with some of the nicest and coolest people at Texas Teen Book Fest and Texas Book Fest. And just getting to be a part of StuckInBooks! I LOVE IT ALL! Val: Hands down, it was Book Bash where I got to play assistant to my favorite author, Jennifer L Armentrout. Val: Having Jess join StuckInBooks. We are so joined at the hip. Jess: I have no idea. But I bet it was an awesome one. Can we pretend it was the one where I joined StuckInBooks? Because that would be fun. 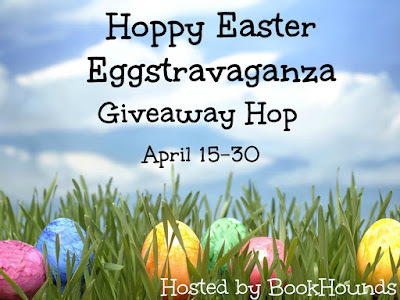 Val: The most popular are always the ones that involve JLA books (giveaways and reviews). Jess: Well, let's say the one where I joined StuckInBooks. Because I'm REALLY liking this answer. Val: Any post that doesn't get any comment love. Those always make me sad. Jess: The Book Spot. It's a little indie book store near where my nephew does this tutoring thing, and it's GREAT to walk to and pass the time while he's, like, learning. Val: There's this new store that moved into an old Borders store. The whole second level is USED books. Rows and rows of wonderful books at great prices. Jess: NOPE. And I'm okay with that. 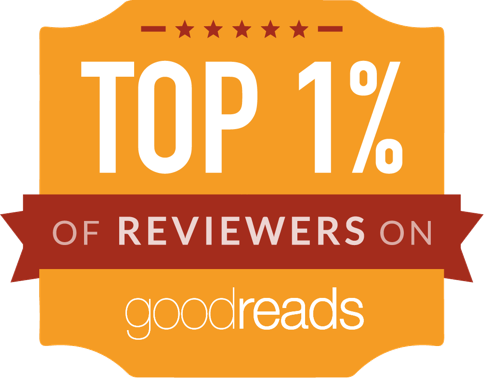 My Goodreads goal was 115 books. I read 100. Pretty sure I had other goals (about finishing series, re-reading some stuff, etc. ), but I'm doubtful I reached those. I have higher hopes for this year, though. So yay! Val: I did. I read 164 books and my goal was 150. Jess: OPPOSITION BY JENNIFER L. ARMENTROUT. It is so sad that this one slipped through the cracks, but IT WILL HAPPEN. SOON. Jess: The Heir by Kiera Cass! Ahhh, I can't wait. Also, Fall with Me by Jennifer L. Armentrout. 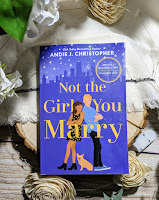 Jess: The Night We Said Yes by Lauren Gibaldi! I just found this book a few days ago and I am DYING to get it in my hands. Cannot wait! Val: Did I mention I didn't read any debuts in 2014? Not sure I have one I'm gonna read in 2015. I want to finish some series' that I've started and left the last one unread. That's gonna be my focus. Val: Yes Jess has it. I'm nervous and can't wait. I love both boys and I just can't stand the thought that one is left brokenhearted. Jess: Read more of what I WANT this year. I have so many books in my room waiting to be read. I want to take the time to read those! And don't even get me started on what's on my Kindle. I want to read this stuff I've been putting on hold for too long. Val: What Jess said. Mostly, I want to make sure my reading time goes to reading things that appeal to me. I'm a moody reader and forcing myself to read something I don't want to at the moment is never good. And there are so many books left behind that I'm tired of missing. Val: The Return by Jennifer L Armentrout. So good. Smokin' HOT yum! That's our End of Year Book Survey! What do you think? Did you do the survey? Leave us a comment! This was such a fun post! I agree with you both on Every Last Breath.... I need that book! Jealous that you have read The Return already! I agree with Tink being an awesome character. I also loved Val in that book. Jess, it took me a while to like Ezra but I stuck with the series because of your love it. Well Jess... congrats on joining Stuck in Books! I can tell you are super excited. Are you also from Colorado? I met Val many moons ago at Beautiful Creatures and it was pretty fun though we never made the time to do it again. BOO! !